Michelangelo's hometown is about an hour drive from the Port of Livorno. Your Florence-Guide lays this magical city before you. 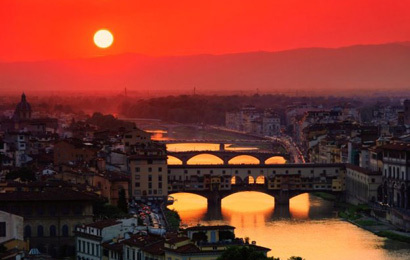 Central Florence is small and many sights are in close proximity to each other. The Duomo, Acadamy, Ponte Vecchio and other highlights are included, along with shopping and a Tuscan lunch prior to your drive to Pisa. The Leaning Tower of Pisa is Italy's most recognized monument (after the Coliseum) and never ceases to impress those who visit it. However, the magnificent Duomo and Baptistry are just as impressive. These architectural wonders are placed in a large verdant mall that welcomes and captivates. Is there more on your wish list ?